Eiffel Tower – built in 1889 for the world expo. The construction was opposed by many Parisians, but the tower as become synonymous with Paris today. Notre Dame and Sainte-Chapelle Church are located on Ile de la Cite, which is an island in the Seine in the central part of the old city. 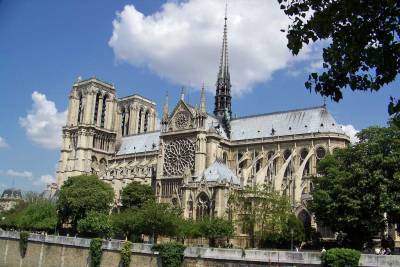 Notre Dame was started by Pope Alexander III in the 1100s and took more than 150 years to complete. The Notre Dame Cathedral roof and spire were destroyed in a serious fire on April 15, 2019. Saint-Chapelle was built by Louis IX in the 1200s to hold relics of the crucifiction. 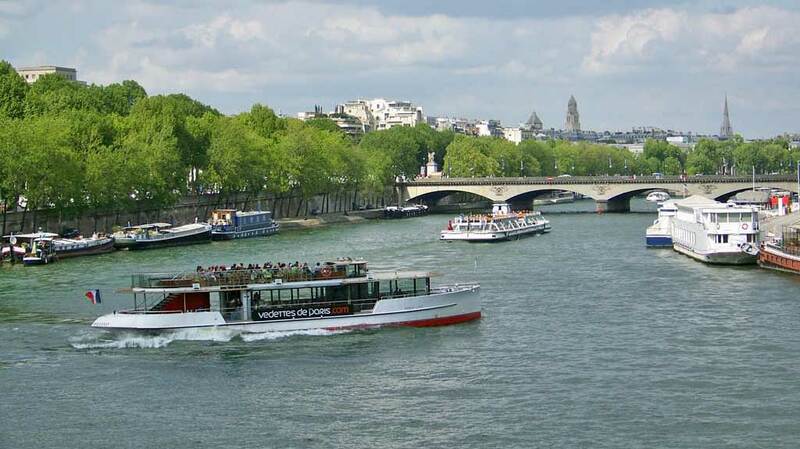 Take the pedestrian bridge to the small island of Ile St-Louis beside Ile de la Cite. Enjoy the restaurants and laid back, trendy atmosphere. 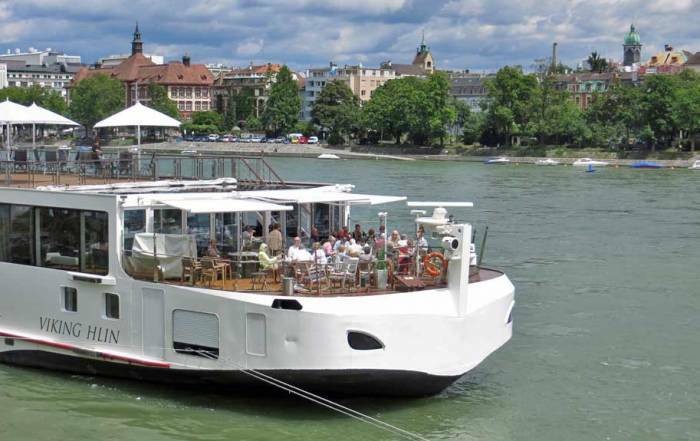 Then take a Seine River Sightseeing cruise nearby. Arc de Triomphe and the Champs Elysees which joins the Arc with Place de la Concorde. 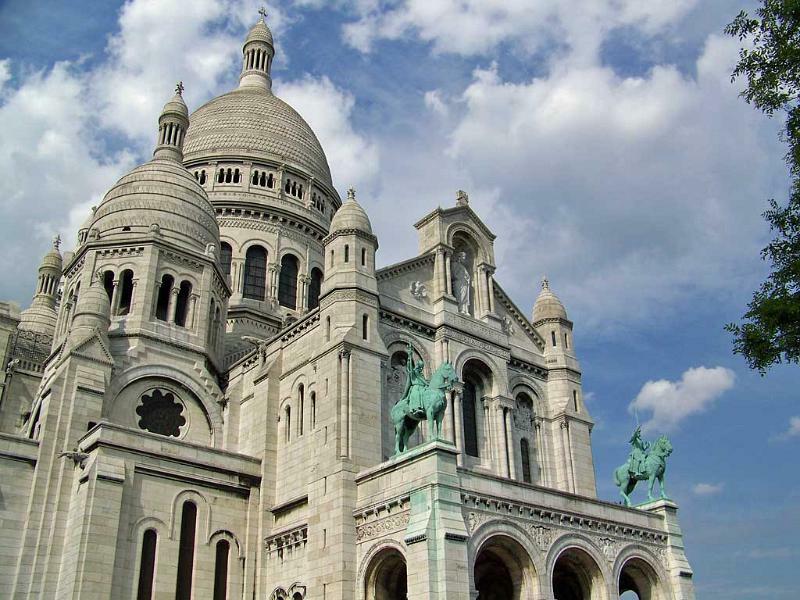 Sacre Coeur and the surrounding area of Montmarte. The Place du Terre a block away from the church. It is filled with many outdoor artists. After dark, it’s showtime for Moulin Rouge. The Latin Quarter – originally named because the scholars here centuries ago all spoke Latin. Today its main attraction is the cafes along its streets, especially Blvds Saint-Germain and Saint-Michel. The Pantheon, a famous burial place, is located in the Latin Quarter. Don’t confuse it with the Pantheon in Rome or the Parthenon in Athens. The Grande Arche de La Defense is a great spot to view at night. 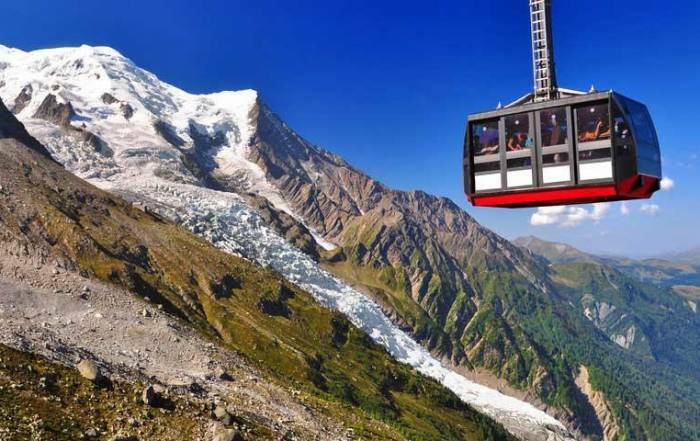 It’s located about 15 minutes northwest of the Eiffel Tower. Catacombs of Paris – the remains of approximately 6 million individuals were placed here when the cemeteries of Paris were removed. Montparnasse Tower – great view of the city and the Eiffel Tower. Père Lachaise Cemetery – many famous individuals are buried here. Opera Palais Garnier – the grand old opera house of Paris. Rollerblading – Parisians love rollerblading along the Seine in large groups. Try Rollers & Coquillages and Pari Roller for schedules. The Paris subway system is so good that it’s not necessary to pick accommodation near a specific attraction. Place d’Italie on 3 subway lines is a popular choice. So is the Latin Quarter near Notre Dame. the Louvre – Closed on Tuesdays. 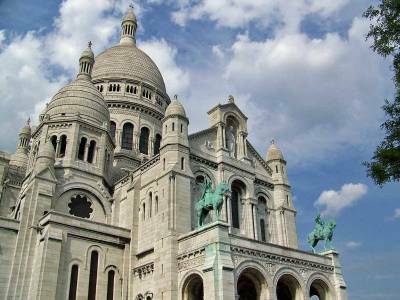 This museum is world famous and a premier attraction of Paris. 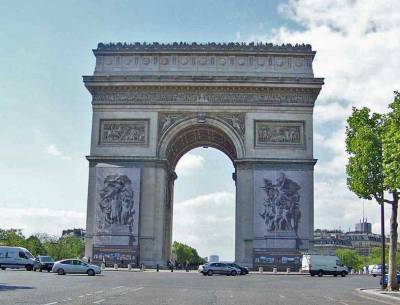 Walk along the Rue de Rivoli between the Louvre and the public Tuileries Garden. Adjacent to the garden is the largest square in Paris, the Place de la Concorde, with its Egyptian obelisk. Musée d’Orsay – Closed on Mondays. Walk over the bridge from the Louvre and transition from classical to modern art. Centre Pompidou – a museum representing the modern cultural center of the city. Carnavalet Museum – for the history of Paris. Closed on Mondays. Jacquesmart-Andre Museum – built in the 19th century as a residence. View the opulent furnished living quarters and museum rooms of this mansion. 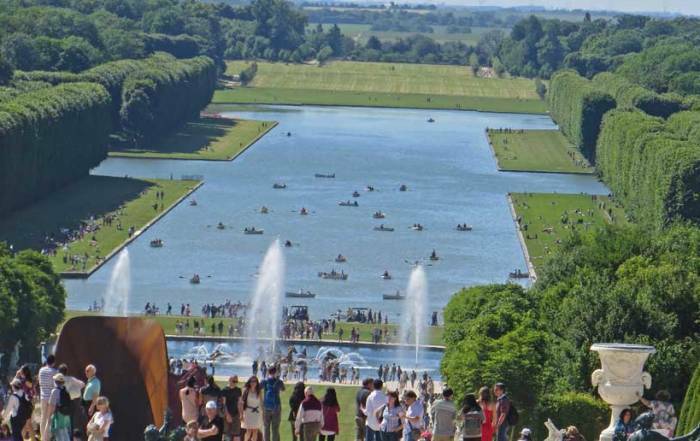 Take a day trip to the Palace of Versailles. 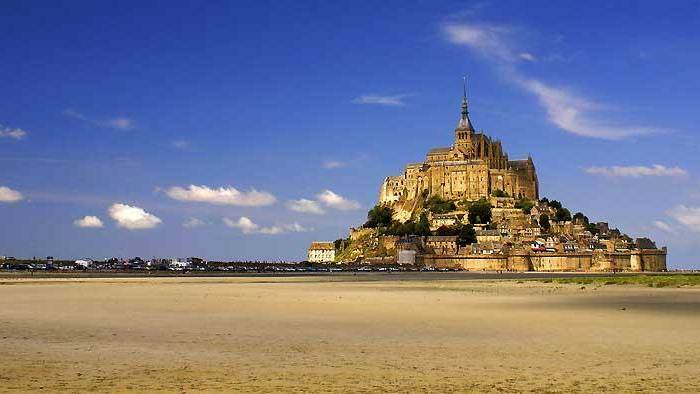 Try a Brittany and Normandy Day Trip to see St Malo and Mont St-Michel. 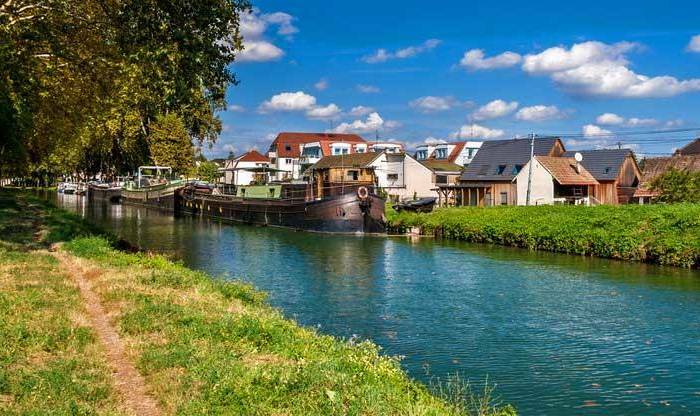 You can also visit D-Day World War II museums and memorials on the beaches of Normandy. 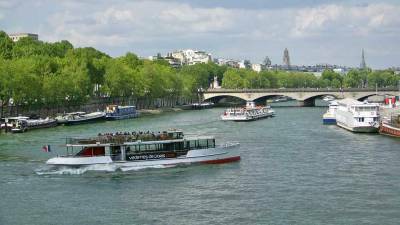 The most popular Paris weather months to visit are July and August. Temperatures then average around 75 F (25 C) for highs and the lows are around 60 F (15 C). In the winter months temperatures rarely go below freezing, however the weather is much cloudier due to the influence from the Atlantic. The Paris metro subway system has amazing coverage and it’s easy to use. Take the RER B blue line airport train from Charles de Gaulle Airport (CDG) and join the Paris metro subway system at Gare du Nord or later at Chatelet-Les Halles. The airport train line runs every few minutes. Study your destination stations carefully in Paris, as TGV high speed trains don’t all operate from the same station. Check out the Paris Metro Map. Paris, the City of Light, is the capital and largest city in France. In the 1300s the city suffered from the Black Death (plague). In 1436 King Charles VI reclaimed France from the English and established the castles in the Loire Valley. Paris was the chosen location for the French kings from 1528 until 1682 when Louis the XIV established Versailles as the seat of power. The French monarchy was overthrown with the Storming of the Bastille in 1789. Louis the XVI and his wife, Marie Antoinette, were executed by guillotine. 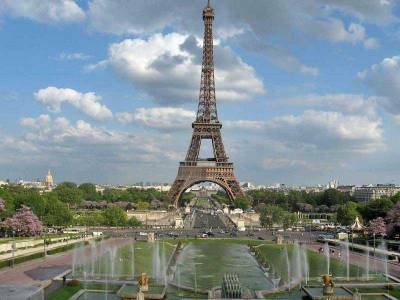 Today Paris is one of the most popular tourist destinations in Europe.